Can you guess which country I was in when I took this photo of a hotel lobby? I’m going with Laos based on the script on the wall. It’s Cambodia. 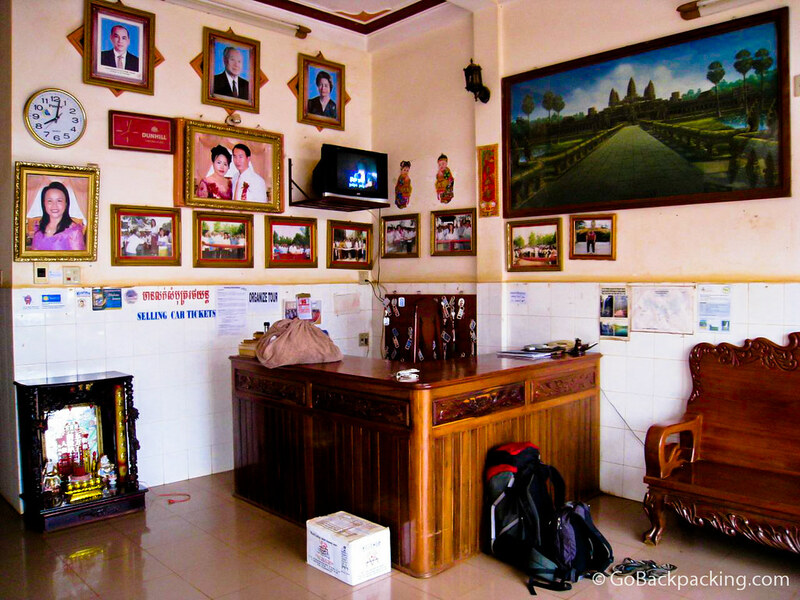 The painting on the wall is from the Angkor Wat complex.